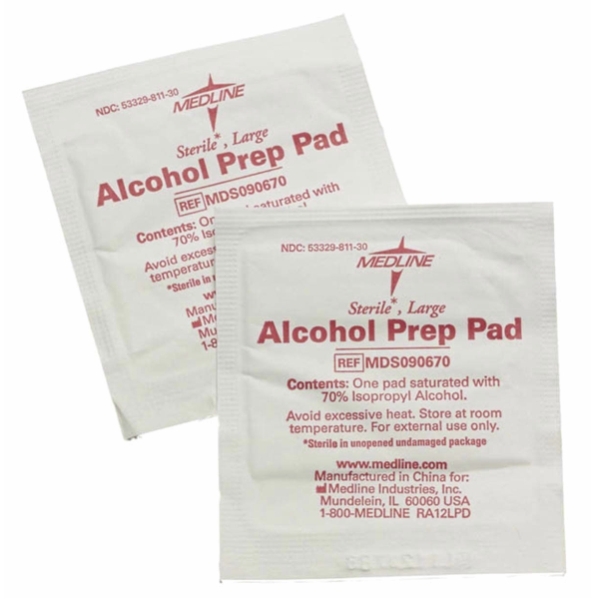 Medline Sterile Alcohol Prep pads are made of soft, absorbent, non-woven pads that are each saturated with 70% Isopropyl alcohol. 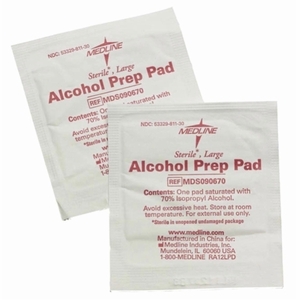 Alcohol prep pads are used as a topical antiseptic and are ideal for use prior to injections. Latex Free! Each alcohol prep wipe is 1.5" x 3.5". # MDS090670.